Regardless of your industry, every business relies on technology. A crucial part of that technology is your customer relationship management. Whether you’re on the frontline of patient care or an accounting manager balancing needs against cost; whether you’re protecting your clients’ legal data or harnessing technology and data assets to make smart business decisions; managing your customer relationships effectively and efficiently takes up-to-date technology and a team of IT Specialists to implement your program. 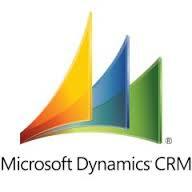 Cynergies is partnering with Microsoft Dynamics CRM to bring the best to all their clients. Enables connectivity across multiple platforms, hospitals, clinics, and offices. Assists caregivers in making more informed decisions through faster access to patient data. Provide uninterrupted care with built-in resiliency and recovery capabilities. Connects EMR systems, devices, and data from almost anywhere with PCS, phones, and tablets. Ensures HIPAA Compliancy by securing reliable access to information with affordable, enterprise-grade solutions. Enables collaboration with teams and patients from virtually any location. Connects your clients whether they are on-premise or on-the-go. Assists in meeting multiple needs while controlling costs. Centralizes data and gain better insights to find and retain clients. Engages clients anytime, anywhere with mobile technologies, and automated client care tools. Improves staff communication and task visibility with real-time collaboration tools and automated workflows. Safeguards client data while working on any device and from any location. Enables employees to stay on top of projects and get work done anywhere. Ensures faster response to clients and colleagues. Ensures data is kept safe and confidential. Mobilizes your firm, allowing employees to work anywhere, anytime. Allows collaboration securely and easily with remote clients and team members. Empower employees to get work done wherever the job takes them. Assists in harnessing technology and data assets to make smart business decisions. Generates better leads, gains understanding of customers, and improves customer management. Enables employees to get the right answers for their clients with real-time access to the best information. Ensures that sensitive information is secure. Allows team collaboration from multiple locations. Enhances your business’ ability to make the most of existing data assets, remaining agile and streamlining IT. Cynergies Solutions continues to offer the best to their clients. 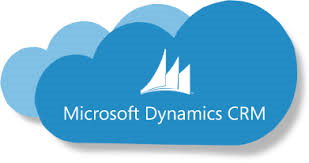 Contact us today and see how Microsoft Dynamics CRM will help your business to grow. When you’re ready to move your business forward, we have the contract IT Specialists available to install and implement your program. Contact us today.